With the threat of consultancies looming and the role of creative agencies in a the modern media world continually coming into question, Fox believes now is time for the industry to get their priorities in order as the 'zombies' prepare to attack. “I see the legacy ad agencies and media agencies as no different to the scenario that plays out in The Walking Dead,” he says. “As the consultants are coming, as the new ‘built for purpose’ digital shops who now do creative line up, as the Facebooks and Googles form strong armies, we are disorganised, small minded and are generally splashing in the shallow end of the kids pool. Addressing other industry concerns, Fox calls out the scam work at Cannes Lions and questions the credibility of industry bodies and negativity in the trade press. 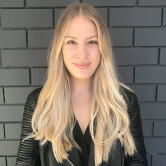 Crediting the Australian Association of National Advertisers (AANA) for its work, Fox says it tackles big industry topics and is a thought leader with credibility to change the industry for the better, which is why Ogilvy Australia chooses to support the organisation. As for other industry bodies, he says: “We have four (there are more but I lost count on sub brands) industry bodies in Australia covering areas such as communications, digital, media and data and they compete against each other for agency fees. Fox was incredibly disappointed by the scam work that emerged out of Cannes Lion last year, adding that is discredits the whole industry. “Last year I sat in Cannes and watched Facebook and Google own the beach areas in Cannes, I watched Samsung own VR all over the Palais, I saw Airbnb and alike on stage talking about purpose and their values and I saw the ad agencies display of some rather questionable ads for questionable clients in the basement of The Palais," he says. It’s time to take action now, Fox says, urging agencies to wake up to themselves and an industry body to step up to reflect the modern landscape - because the industry can do better. “I fail to see any industry body that represents my views holistically or that of my integrated agency. There is no one industry body leading the conversation about real issues from the agency side. “Yes, there are some voices in the wind but where is an organised industry that competes with each other however still finds common ground and pushes for us to be better and more credible as an industry? "We are disorganised, small minded and are generally splashing in the shallow end of the kids pool"
Ogilvy Australia CEO David Fox is making a passionate plea to the industry to come together to fight off the threats facing agencies rather than attacking each other. Comparing the industry to popular TV series The Walking Dead, Fox says the rivalry between ad agencies and creative agencies plays out a lot like the fictional show. 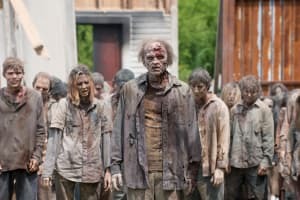 He explains: “In the show, like in most zombie movies, the world is ravaged by some highly infectious disease which turns most of the population into flesh eating zombies with an insatiable thirst for human flesh.